Skylark carried chemical cargoes from Trafford Park, Manchester to Courtaulds Main Works site in Foleshill Road, Coventry, which backed on to the Coventry Canal, and occasionally to Courtaulds plants at Little Heath (near Coventry) and to Wolverhampton (on the Staffs & Worcs next to Horden Road Bridge). The main cargo carried was carbon disulphide, but other products carried to the Courtaulds sites included acids, solvents, acetone and oils carried in drums or glass carboys. Salts and lime were carried in hessian sacks and caustic soda was carried in drums. Return traffics tended to just be empty containers and carboys. The hazardous nature of carbon disulphide led to the introduction of pairs of cylindrical steel tanks being fitted to some of the boats between 1935 and 1936. When the tanks were put in, all boats were equipped with a flood valve in the fore end port side to enable the boat to be sunk quickly in the event of fire. The tanks were kept full of liquid at all times and the carbon disulphide was displaced with water under pressure on delivery. 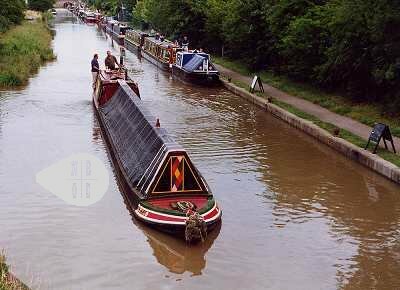 After discharge the boats returned to Trafford Park with the tanks full of water. The fleet stopped trading in 1956, most of the boats having already been sold off by then. 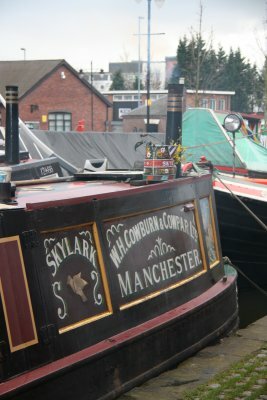 Skylark was one of the last three boats to come out of service and was sold in 1956 to Jonathan Horsefield Ltd of Runcorn. 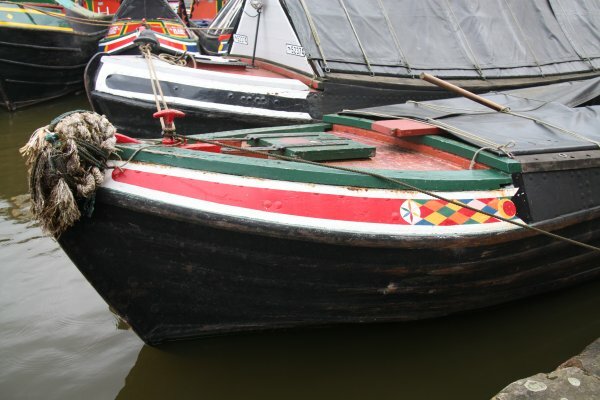 Skylark did not spend long in the Jonathan Horsefield fleet before being sold again, in 1958 to private owners at Kegworth on the River Soar. They rebuilt the Gardner engine which had been damaged in a fire, and a full length conversion was fitted by David Wyatt of Stone. Further private owners bought the boat in 1978 (Clayworth on the Chesterfield Canal); 1983 (Grand Union Canal); 1988 (Banbury on the Oxford Canal); 1994de-converted and fully restored to working trim. 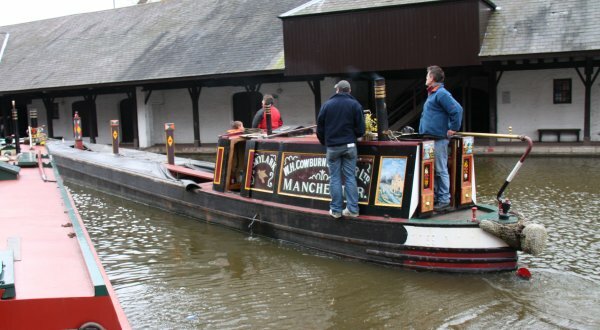 In October 2008 Skylark was bought by its present owners and is now based on the Caldon Canal in Staffordshire and used for winter coal deliveries. Please click on the Up link below for more information on the carrying fleet.